Recently, I have acquired a few albums by American prog bands of the seventies and I have to say that on all them the musical influences are blatantly obvious: Yes, Gentle Giant, Genesis. The music is really good and each band gives something of its own to the music, but nevertheless, it is still highly derivative. Kansas, however, I find are not so obvious, having developed their own sound early on. I have never heard the debut of Kansas; however, their second album, 'Song for America' sees them steering on the course that would eventually produce 'Leftoverture' and 'The Point of Know Return' all the while keeping their barroom rock style on par with their more complex music. The album features three shorter boogie rock songs that are more of the rock hall crowd-pleaser variety and three longer songs where the band can really stretch out. So, let's look at 'Song for America', 'Lamplight Symphony', and 'Incomudro - Hymn to the Atman' for this is where Kansas' unique brand of progressive ROCK is at its most spectacular. 'Song for America' takes over three minutes to get to the lyrics as we are treated to various instrumental parts featuring piano, violin, and guitar. The bass is mixed right up there with the lead instruments and for good reason because it is a busy instrument. The song is about the rampant exploitation of the natural resources of America. The music goes through many paces and there are some wonderful parts that are classically influenced and others more rock. 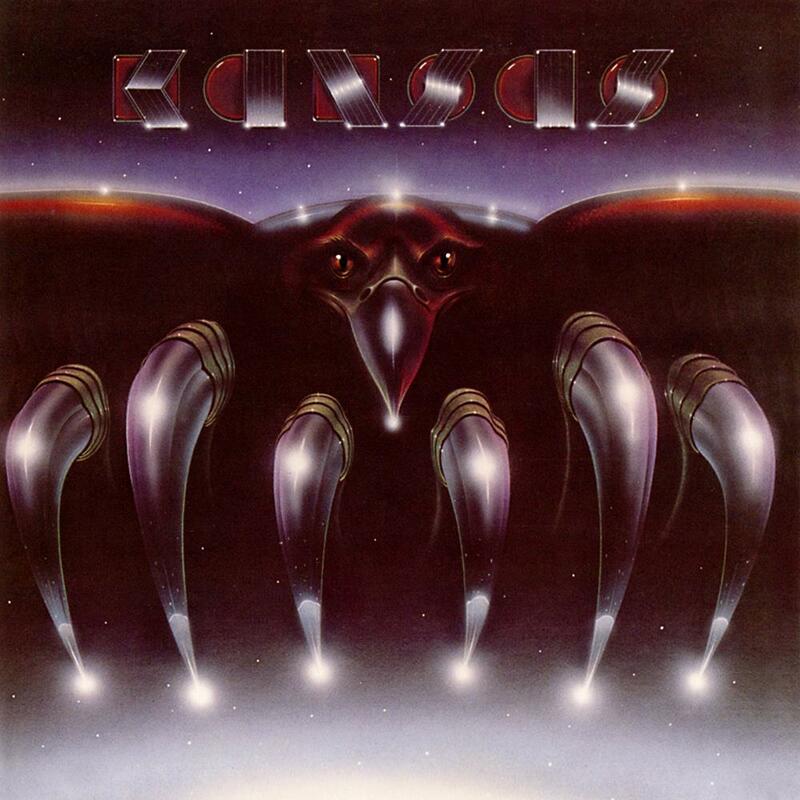 Of the three Kansas albums I have from the seventies, this might just be my favourite song. 'Lamplight Symphony' is a little bit Blue Oyster Cult in style as it is a bit darker and the lyrics are about a man who sees the ghost of his wife. Musically, it is suspenseful and dramatic at times but also includes some quieter parts with piano and violin. The final track 'Incomundro - Hymn to the Atman' is the longest and provides plenty of room for instrumental showcasing, particularly the synthesizer solo that has a signature seventies symphonic prog sound that is reminiscent of Camel. There's a hard rock theme that gives way to more classical influences at reflects a bit of Yes and some other classic English prog bands. There's a dramatic classical-like conclusion on the synthesizer but with fast-paced drums and bass. As I understand it, Kansas improved upon their debut with this album but then turned a bit more mainstream for their third album. Much praise goes to 'Leftoverture' which many say is their best album. So far, however, I think the longer tracks on 'Song for America', particularly the title track, are either on par with or more interesting than a lot of the material on 'Leftoverture'. In any case, this is a very good album and quite exemplary of Kansas' style in the seventies. To me, their rock sound is similar to Triumph only with more keyboards and a violin. But their symphonic prog ROCK pieces are quite worthy of mention among some of the big names of seventies prog. If you've tried and liked 'Leftoverture' and 'Point of Know Return', I do recommend getting this album next. Only their second album and the band have put out quite a piece of work.